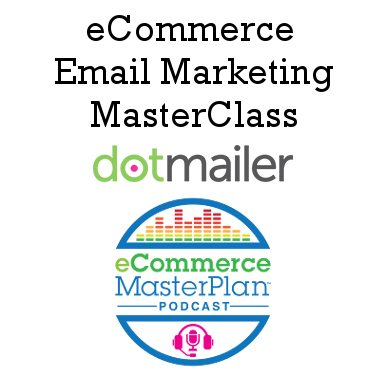 This special bonus episode will take your email marketing knowledge to the next level. You may remember Skip Fidura of dotmailer, from the Experts View shows at the start of the year. Well, I’ve invited Skip back because yesterday dotmailer launched their brand new Hitting the Mark report and I wanted him to bring you the key takeaways from it. The full transcript and key links are below. Skip: The Hitting the Mark report is, I want to say it’s in its eighth or ninth year. It’s something that we at dotmailer have been doing for a while now. What we’ve done historically and again this year, is looked at the top eCommerce brands or a cross section of eCommerce brands both here in the UK and in the US and basically evaluated their shopping experience and email marketing programme. How those two things tie together. Applied a scoring methodology to that and then basically ranked them. Put together a lead table. Chloe: Other than just the lead table of those top retailers, there must be quite a lot you’ve learned in terms of things you can’t believe they’re not doing, things that are amazing that they’re doing and things which our listeners can swipe and deploy. Skip: Yeah. I think the key, for me, the big takeaway is so many times I go in and speak to a client and they say, “Oh. I just don’t have the budgets of the big players. I don’t have the same kind of budget, or manpower, or data that you’re going to get from some of the High Street brands. I just can’t compete.” The takeaway from this report, for me, is you can compete. For reasons that I can’t fully explain, the big budget players don’t always do email marketing well, don’t always tie their email marketing and their email programmes into their purchase experience well. If you’ve got the ability to start small and scale quickly, you can really steal a march on some of these bigger players. Chloe: You’re saying some of the newcomers to the market do a lot better email marketing, a lot more successful email marketing than the biggest of the big retailers? Skip: Yeah. The winner, the overall winner of the Hitting the Mark report is ASOS. I’m not sure if you can call them new. They’ve been going for 16-17 years now. In terms of being a pure-play digital, I think a lot of companies like that benefit from the fact that they grew up more in a data-aware age. They aren’t dealing with the multiple legacy databases that they’re trying to tie together. They’re not dealing with data that’s years and years old or even if it is years and years old, they know where it came from. They know its providence. They’ve been communicating with it and they’ve been on point all the way through the journey. I guess what I’m saying is their business was built around this kind of digital communication. Whereas, I think some of the other more traditional High Street retailers and even some eComm retailers, their business wasn’t designed around a customer-centric approach, a customer-centric communication approach. Chloe: I’d like to just dwell on that for a second, that customer-centric communication approach. We’re talking not just about batch and blast every week. We’re talking about tailor welcome sequences, tailor post purchase campaigns and so-forth, to really make sure the customer’s getting quality, relevant communications? Skip: Exactly. What I like to talk about when I’m sitting with clients is, all you’re really doing is having a conversation. The act of selling, the process of selling hasn’t changed in the last 300 years. Somebody needs something, somebody else has it, you negotiate a price, it meets the customer’s needs and away you go. I think what’s changed is the scale at which we do it. Gone are the days of the local shop where the local shop keeper knew everybody in his neighbourhood, saw the people in his neighbourhood on the street, in the pub, in the Church on Sunday, knew them and knew what they wanted. Therefore, he tailored his message every time somebody different came in. The notion of having a customer experience, customer journeys would probably make that shopkeeper just fall down laughing as ridiculous. What we have now is, we are now selling to thousands, tens of thousands, hundreds of thousands, millions of people potentially, around the globe. We have to be able to have these same kind of interactions, these same kind of tailored experiences at a much bigger scale. The brands that get it, understand that and they don’t seem to rely on the technology as a panacea or silver bullet. They use the technology as an enabler to deliver those human conversations at scale. Chloe: From my experience as well, I would say it’s the companies who they think about the conversation first and then work out how to do it with the technology rather than getting a bit excited about the latest widget. Widget first, idea second, is always a bad way to play it. In my experience, you’ve got to think, message first, widget second. Skip, let’s get into a few of the real takeaways from this. What’s been the biggest lesson you’ve seen from the Hitting the Mark report that the listeners could use and deploy in their businesses? Skip: The biggest opportunity for your listeners to really improve and move up and start nipping at the heels of their bigger competitors is some of the really simple stuff. I was amazed by the number of brands that didn’t do abandoned basket. Skip: I was amazed by the number of brands that didn’t do even the simplest welcome programme. I was amazed by the number of brands that we wanted … Okay. We were doing a research report, so we wanted to sign up for their email, but we’re sure that their customers want to get communications from them as well. You have to go Indiana Jones in the hunt for the subscription form. I think those three really simple things, you get those right and then you’re laughing. Then, you can starting thinking about some other stuff like, how do I make payments easier? Can I start to embed payments into the email itself? How can I strip down the barriers between somebody wanting to buy something and them actually getting it delivered to their house? Chloe: Okay. I’m going to come back to those three great opportunities, the abandoned baskets, the welcome programme and making the signup easy in a second. First, I know some of our listeners will be going, “What? Payments into the email itself? That’s intriguing. How do you do that?” Let’s do that one first and then we’ll go back to the more simple winning items. What are you talking about, Skip, when you say actually putting the payment method there in the email? Are we putting a full PayPal checkout gateway in there? Skip: We’ve got a new feature that does include a PayPal payment gateway. Depending on the implementation, in either our platform and in other people’s platforms, you may not get the full gateway. You may not be communicating back to your stock levels. It’s not necessarily appropriate if you’ve got a finite amount of stock or you’re selling something that’s got lots and lots of options to it. If you’ve got something that’s relatively generic, you’ve got lots of it, or it’s a digital thing, yeah. There is a button right in the email. You click the button and it takes you to the PayPal payment confirmation page. You hit submit and you’ve got it, right? Chloe: Are people using that, the consumers this is, using that on mobile only or are they using that on desktop as well? Skip: That’s an interesting question. We don’t have any data to say that there’s a preference for using that on mobile or desktop, specifically. I think it will take off on mobile. It will make people a little bit more comfortable when shopping on the mobile device. First off, entering your credit card on your phone is just a nightmare. Filling out the delivery forms on your phone is a nightmare. Any brands that already has the ability for me to create an account, go in, log in to that account and it’s already got all of those details, great. It’s got a credit card saved, great. Those brands are already seeing much greater take up on mobile purchasing than those that can’t do that. I think this will take it just one step further. Because it all feels very inside, if you will, it feels like I’m inside that brand experience from the email to the PayPal page, I think you will see people take that up. It works just as well on both devices. At the end of the day, it’s really going to come down to, where are they when they get the email and are they ready to purchase? Chloe: Wow. Cool. Okay. Let’s go back to those fundamentals that you’re seeing even the biggest retailers not bothering with because that’s certainly a big opportunity for everybody out here listening. The first one is you said about no abandoned baskets. That’s something which, I find it slightly crazy that pretty much any retailer wouldn’t have an abandoned basket system given how simple they can be to set up these days. Have you got any kind of recommendations or advice for anyone who’s planning on setting up theirs for the first time or want to make it work a bit better? Skip: If you don’t have one, get one. Sometimes the advice is pretty obvious. Chloe: We don’t mind. Obvious advice is good. Skip: Yeah. If you’ve been sitting there thinking, “Hmm. I’m not sure,” definitely get one. Just to put it into context, and this is a brand that’s not in our Hitting the Mark report, but we have a client that recently introduced an abandoned basket programme and more than covered the cost of the programme with the very first abandoned email they sent. Okay. They’ve got a big, it’s a big ticket item. It’s a travel brand. Not every retailer is going to be able to pull that off. Given the opportunity, if you need any justification, look at your basket abandonment rate. What’s the average value of those baskets? Then, just figure out, “How many baskets would I have to reclaim to cover my monthly cost?” The number is usually ridiculously low. What you end up with is everything over-covering the cost is going right to the bottom line. Doing it is a no-brainer. As I said, think big but start small and scale quickly. Starting small with an abandoned basked is have a one-step abandoned basket programme. An hour after the basket’s abandoned, send an email, or an hour-and-a-half, or two hours. Test it. See which works, what works for you. Get that up and running, start to look at your results, start to count the cash that’s coming in and then think, “How can I make this better?” A lot of our clients will have a two or three step programme. The first one goes out, say an hour after, the next one goes out 24 hours after and the third one goes out three, four, five, seven days, something like that. Start to play around with the timings because what you’ll find is some timings work better than others. Really, tweak one thing at a time so that you know that the result is due to that one change. Then, if it works, keep going. If it doesn’t work, roll back and try something else. Start small with one, scale, add a second, add a third. Then, start to think about what other data you have that might help inform some of the timings for your programme. 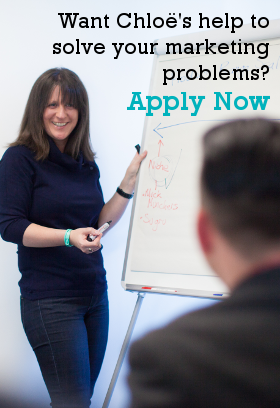 We’re working with another brand here in the UK that they had a one step programme. We went to a three step programme, proved that that worked better, very much as I just described. Sorry. I honestly don’t believe that most people abandon because they were looking for a better price, or they, whatever. I think most people abandon because they have set aside X amount of time to focus on this task. They get something in the basket and they’ve run out of time. This perception is, I think, with most consumers, is I get something in the basket and I’m only halfway there. I still have to go through the rest of the checkout process. I put something in the basket, I’ll come back to it later. “Well, I’m Thinking about it,” whatever. Chloe: I guess it’s something to say to those people that are going, “Oh, it feels a bit intrusive sending a customers a reminder that their basket’s there,” but actually, the majority of customers find it a useful service. Chloe: Skip, that was a little mini master class on abandoned baskets there and I love the fact you’re saying about just starting off with the one email. It doesn’t need to be complex. Just make it happen, see what happens and then optimise it. Can I press you for a similar master class when it comes to the good old welcome programme? Do you have a couple of tips for us? Skip: Unsurprisingly, I’m going to say start with one. Skip: Start with one email. For me, the welcome programme is going back to that notion that we’re just trying to have human conversations. The only difference is we’re trying to do it at scale. When I speak at conferences and stuff, I sometimes do this as a demonstration and I had out swag, some dotmailer branded thing. Whether the person wants it or not, I always get a thank you or a no thank you because people are generally polite and our parents taught us to say thank you. For any parents who are listening, you know that that reinforcing, teaching kids to say thank you, you have to remind them. Mine’s 11, I still sometimes have to remind her. The other thing is, you will say thank you to your child regardless of what they hand you. When my daughter handed me a live bee, I said thank you. The next words out of my mouth weren’t quite so polite. A welcome programme is at its core essence, is just being polite, just saying thank you. If somebody’s given you their email address, be nice, say thanks. The follow-up to that is now I need to get to know you a little bit so we can have a conversation. If you go back to, again, it’s just a human conversation, you don’t want to ask a load of questions. You don’t want to be that person. That person, you always meet them at a wedding, especially if you’re on the B-list, or the C-list, or you’re the plus one. The only way they can interact is to ask a load of questions. You end up talking to this person and they end up asking you a load of questions that increasingly get uncomfortable. You don’t want to be that brand. That’s not you. All you need is to ask a question or two so that you can start the conversation. Chloe, the first time you and I met, it was, I think at a speaking thing. Actually, I think here in our office. We’re about to be thrust onstage and have to appear like we’ve know each other for years, right? Skip: It was, you asked me a couple of questions, I asked you a couple of questions and suddenly, we’re best of friends. That’s what we do when we meet somebody. You meet somebody at a networking event, “What do you do? What does your company do? What do you sell?” Whatever it is. One or two questions. You find that one thing of commonality and you start to talk about it. Through the natural rhythm of the conversation, more questions get asked, more commonality is found and the conversation goes on and on. Then, you can go one step further with starting to, as humans, we would look at the body language of the person we’re speaking with. Are they interested? Are they leaning forward? Are they making eye contact? Are they leaning back, arms crossed, looking over your shoulder? You know if you’re on the right track. We can do the exact same thing in email. You send the first welcome. “Thanks for signing up. Tell me a little bit about yourself.” Ask one or two questions. Then, you send the follow-up email making sure that you reference back to what they said, what they told you, but also linking that into the next thing that you’d like them to tell you about, about themselves. When they stop opening, they stop clicking, that’s the digital body language of, “I’m no longer interested in this,” and you need to change it up. Chloe: Cool. A lot of personalization going on there with fields being dropped in and questions being asked and that kind of thing, in those, Skip, or are we segmenting as we go and creating a tree-like welcome sequence? 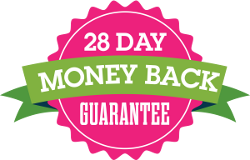 At each step, the sales message gets increasingly more salesy until you get towards the end where they start to put in offers. If you buy something at any point in the journey, you drop out of the journey because now I’m not welcoming you. Now, I want to talk to you. Now, I want to thank you for buying and I want to walk you through that process. I don’t want to have a welcome journey going on at the same time as a thanks for buying. That doesn’t make sense. Chloe: It gets a bit confusing. Skip: Yeah. A conversation that just wouldn’t work. They are reacting to what their customers are doing but they can also include personalization. If they collected, say, some sort of address because they have physical locations and they want to try to get you to go into one of their physical locations, they should reference that. Don’t send an email talking about stores in London, to Manchester. If you don’t have any stores in Manchester, then don’t talk about stores. Talk about your online presence. Talk about how people can buy where they are. That kind of thing. It really does have to be a combination of the two. Chloe: Okay. Cool. There’s our little master class on the welcome programme. It does rather strike me that the idea it can take. Of course, you can start a welcome sequence or welcome campaign with just the one email. Of course, after that, you’re investing quite a bit of time and effort in it, which means you need a fair few people to be going through it for it to be worthwhile. That’s where email Capture comes in. I’m with you on this one, Skip, what you said earlier. It occasionally baffles me how you can go onto some retailer’s sites and spend five minutes trying to find their email signup and still fail. It’s just utterly counterintuitive. You’ve obviously been finding that with some of the people you’ve surveyed for Hitting the Mark but what’s your key pointers for those looking to get more email addresses? Skip: Key pointer number one, don’t go out and buy email addresses. First off, most ESPs won’t let you send through their platforms. You have to send it through the organisation that owns it. It tends not to be a very cost effective way to grow your list. Chloe: Skip, just to be clear on that for everybody listening, we’re talking about going out and buying a list. We’re not talking about advertising on Facebook or Instagram, for email signups. Is that correct? Skip: Oh. No. Absolutely not. Skip: I’m a huge advocate of advertising on Instagram, Facebook, anywhere that your customers or prospects tend to hang out. You should have a presence there and you should make it as easy as possible for people to sign up. Obviously, people come to your website. I know this is going to be a shock to most of your listeners but nobody comes to your website to sign up for your newsletter. That’s not why they’re there. Skip: Yeah. Apart from those of us who are a little weird who do that for a living. Burying it makes no sense because nobody’s come to sign up. Nobody’s really going to look for it. By the same token, you want to make it as easy as possible for people who want to sign up. One of the things that is universally hated and works universally well, is a pop-up. Skip: Pop-up email capture is you ask any marketer and they’re like, “No, I hate them.” Yes, but they work. They work in B2B, they work in B2C, they just work. If a client says, “I can afford to do one thing,” that’s the thing I’m going to suggest they do. Now, you need to be a bit clever about it. Google has started looking at pop-ups in relation to mobile devices and how much of the screen they take up and that kind of thing. You can get a search rankings ding if you don’t do it properly. I tend to tell clients, definitely test turning your pop-up off for people on mobile devices. Mostly because, again, filling out a form on your phone, not terribly easy. The quality of the data you’re going to get is probably not going to be as good as you would on a desktop device. Also, keep in mind that people are coming to buy and your goal is to get them to buy. If somebody is coming in from a search into a deep page, a product-specific page, don’t put a pop-up there because if they put that in the basket and you capture their email address as the first part of the checkout, then you’ve got it anyway and you haven’t really helped yourself. You might want to do one on, a pop-up, and this is a bit more sophisticated but you can build in pop-up logic that is actually, it pops up on exit. The site algorithm figures out that the customer’s about to exit and if they’re exiting off a product page, especially if they’ve put something in their basket, then, yeah. You’d definitely want to go ahead, interrupt them, try to get that email address so you can do the abandoned basket. If they’re just arriving on the page, that’s not the time to be throwing a pop-up in because all you’re doing is distracting them and slowing them down from achieving what they want to achieve. Chloe: Cool. Any advice for our eCommerce audience here, on what sort of things to put as an offer in their pop-up? Because, I’ll be honest, I’ll declare my hand first, I’m a big fan of not incentivizing the email signup of saying, “We’ll send you great information about our products, signup.” Rather than going, “Here’s 15% off, 20% off, or free P&P. Have you got any thoughts on that, Skip, about whether people should dive in with an offer or whether they should go for the more branding approach? Skip: I agree with you. I’m always reluctant to go in with an offer first in anything. Anybody that puts an offer in the first, or potentially any of their abandoned basket emails, is just looking to give money away. You will very quickly teach people to abandon the basket to get the offer. When it comes to the pop-up, again, I would always test not having an offer. People ought to want to get your content. If you have to buy their love, then they’re not going to be very loyal, realistically. They’re probably not going to be a very good email subscriber in the long run. That said, if you have a very clear understanding of the value of an email address, and this is something that we work on with clients all of the time, is determining what the value of an email address is and the value of an email address that purchases is, then it does give you a sense of how much of an offer you could give. Giving a blind offer, I think is silly, but if you’ve got a clear understanding of what that email address is worth to you and want to give a little incentive so you’re still making money in the long run but giving up a little margin on the front end to get that list size, then that’s a worthwhile thing to test. Chloe: Yeah. I think there’s some product categories in which it can work quite well as well. If you’re in a very price-competitive, offer-competitive product category, then you’re probably going to want to test out that offer to make sure you get people there. I know of a couple of people. We had Bonnie from Miso Tasty, who sells Miso soup, on the podcast, gosh, well-over a year ago now. Because she’s trying to encourage people to try a new taste that the majority of the British poplar aren’t really aware of what Miso tastes like, she’s found it very useful to have an offer in order to encourage someone to test out the product. Her first product, I think her smallest product costs about two pounds. You get 10% off the two-pound product with free P&P. She uses it in that way. Yeah. I think for 90% of businesses, if not higher, it’s certainly a … You try and avoid buying yourself customers who are addicted to the discounting. Skip: Yeah. In B2B eCommerce as well. B2B eCommerce players have a slightly different environment within which to live because they probably also have some content that they could give away for free. Their incentive is, “Oh, give us your email address. We’ll send you this white paper on office supplies,” or something. Then, give it that way. If you’ve got something to give away that you can give away that doesn’t cost you anything, again, that’s a positive thing as well. Chloe: I think, on that note, it might be a good point in time for us to wrap up our debate. Skip, you can let everybody know where they can download your freebie in return for their email address. I think I should say, we have, I think, Skip, we’ve barely scratched the surface of what’s in the Hitting the Mark report, haven’t we? There is a lot of case studies and examples in there, a lot more data and things which you can take a look at, get inspiration from. I heartily recommend going and get yourself a copy. It is free. Skip, where can the listeners find that report? Where could they find out more about you and dotmailer? 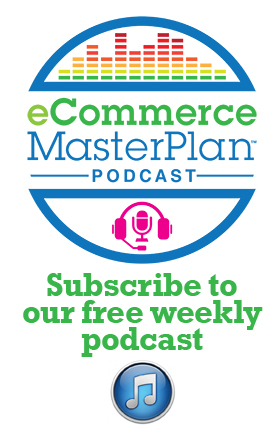 Skip: They can get a copy of the report and it’s actually the eCommerce MasterPlan version, which is the same as the rest of the versions but we wanted to give you a bit of recognition and thank you for having us on. You can find that at dotmailer.com/ecommerceMasterPlan. You’re right, this is not your average corporate white paper. This is almost 250 pages of in-depth analysis on 100 brands, with trends and high-level stuff at the front. The team’s worked really hard on it. They’ve done a great job on it this year. It’s, as we like to say, a weighty tome. Chloe: It is a marvellous weighty tome as well. I think it’s pretty much required reading for anybody looking to improve their eCommerce marketing and their email eCommerce marketing. That’s all of you listening because you can always improve your email marketing just that little bit more. Ink out a few more sales, ink out a little bit more ROI. Skip, it’s just left for me to say a massive thank you to you, for coming on the show today and not only giving us insight to what’s in Hitting the Mark but giving us, I think we got to four master classes, didn’t we? Payments in the email master class, the abandoned baskets master class, welcome programmes and email capture. A bumper episode. Thank you hugely. Skip: Oh. Thank you for having me. This has been great.